In Düsseldorf with Sandra & Leif at Tollé GmbH, I was also introduced to the business investment routes provided by the German banking system and the federal state. The banking system is dramatically different to that in the UK. Overall, retail banking in the UK has been consolidated into a small group of large banks with familiar names right across the nation. They work in a highly competitive purify driven market and have been shaken by the financial crisis. British firms are all too aware of the significant drop in willingness to invest in them by the banks. Despite efforts by the government, there was less lending to business so far in 2013 than in the previous year. The situation in Germany couldn't be more different. Apart from private banks, there are over 420 savings banks and 1100+ cooperative banks. What's more, lending to small and medium sized businesses continued throughout the recession. The savings banks or Sparkassen are each associated with towns and cities. They are not profit oriented and do have an ethos of encouraging both saving and assistance to business start-ups. 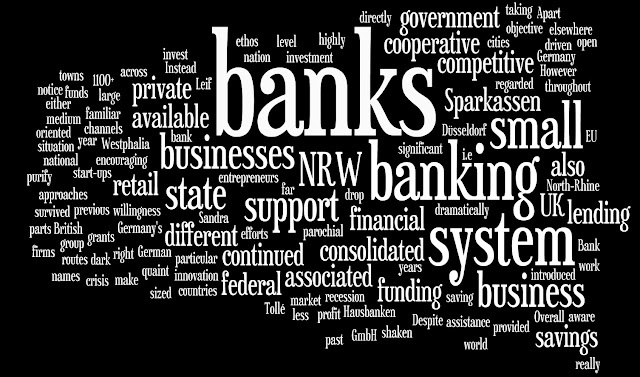 At a federal state level, there is also a bank associated with the state of North-Rhine Westphalia (NRW). This channels grants and financial support available from NRW, from the national government and from EU funding. The objective is to support innovation and entrepreneurs. 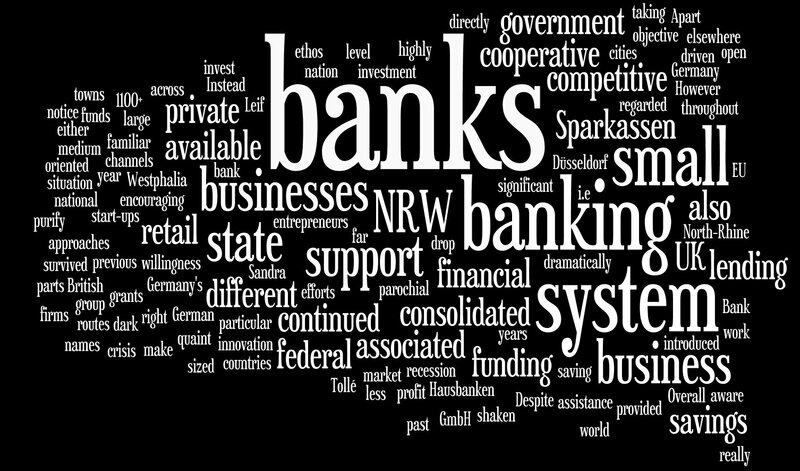 The NRW Bank does not make the funds available directly to businesses. Instead, the funding is open to competitive approaches by the 'Hausbanken', i.e. either the private retail banks, the Sparkassen or the cooperative banks. Once Germany's banking system was regarded as a quaint parochial system of small banks that should really have been consolidated, as elsewhere in the world. However, these parts of the banking system have survived the past dark years and continued to support small businesses in particular. Other countries are taking notice.